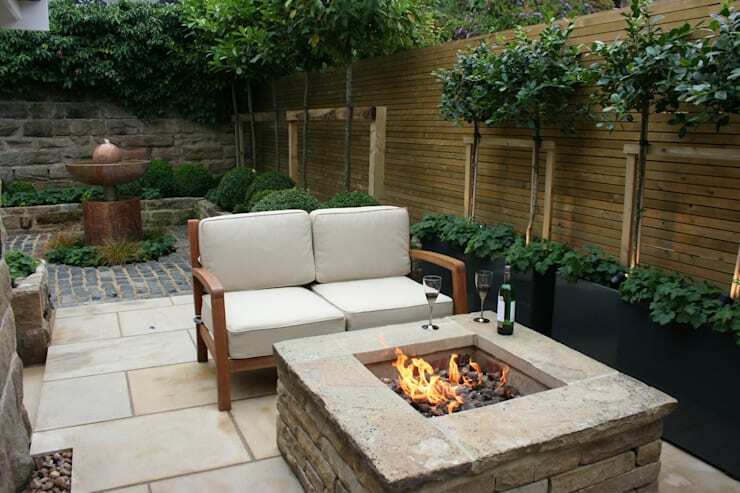 As the cool air arrives with autumn, outdoor fireplaces will get a great deal more use. Don't have one? Need a new one? These six style are simple, cost effective, and perfect for roasting marshmallows and warming your toes. 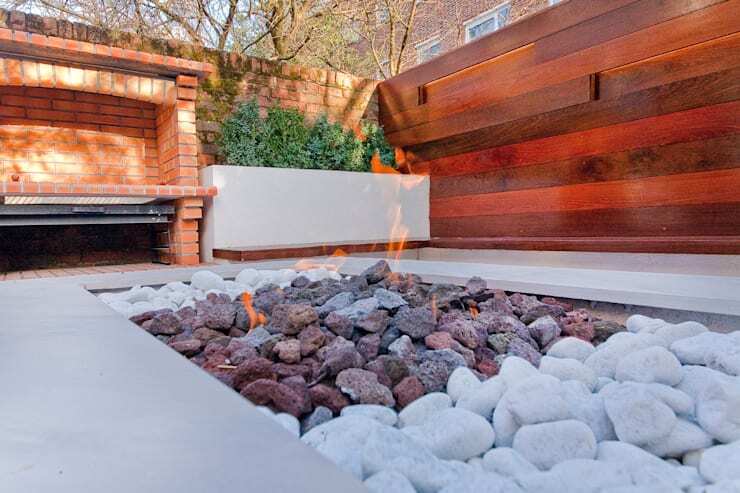 Your perfect outdoor fireplace might be right around the corner. 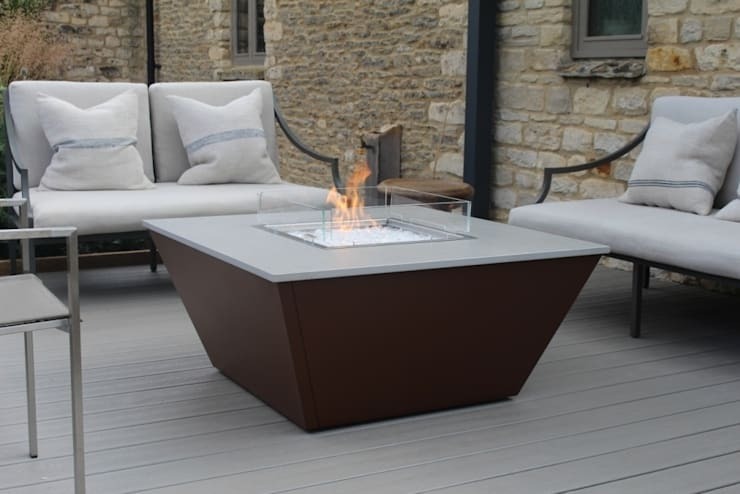 This deep fireplace is embedded into the deck and held in a fire-proof bowl to keep the flames from spreading. All of the mess and ashes are kept out of sight, making for a luxurious look. A simple stone square fireplace is perfect for couples who just want a little romantic lighting for their evening relaxation. A stone mason could help you put this simple design together, or you could purchase a kit that contains everything you need. 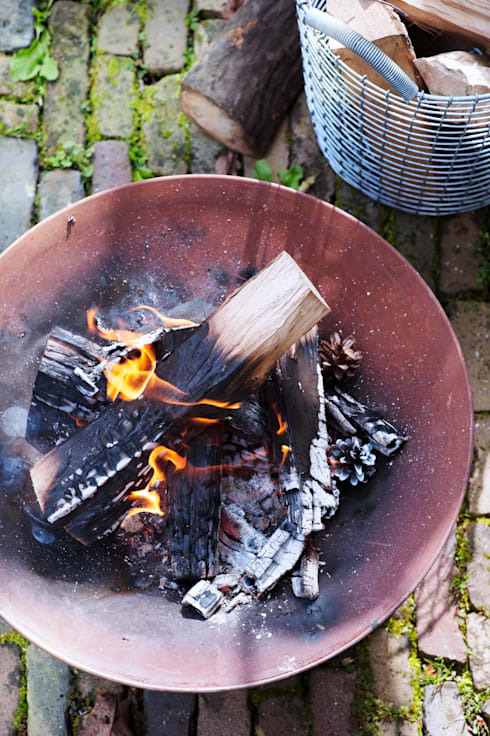 Probably the most cost-effective option for outdoor fires is this simple metal bowl. It's portable, convenient, and all you need for a little flame. Getting to warm next to the fire? Don't move the couch, move the flames! This fireplace on wheels is a fantastic addition to the entertainer's yard, as you can easily tuck it away when not in use. Store your favourite fire accessories with it and the set-up is simple! 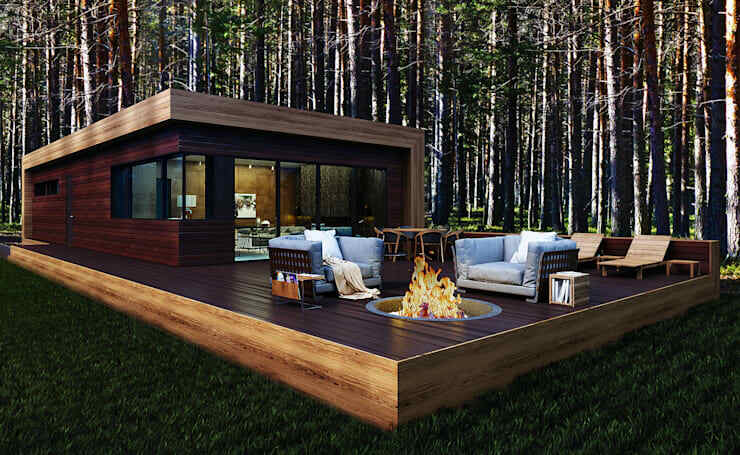 This lovely trapezoid fireplace brings sleek style to your backyard fires. You know what would go perfectly with this? A mini-bar! Check out our ten favourite styles here. For a more natural look, combine various shades of rocks with this hidden fireplace. It's a great way to hide the embers and the mess to keep your deck clean. 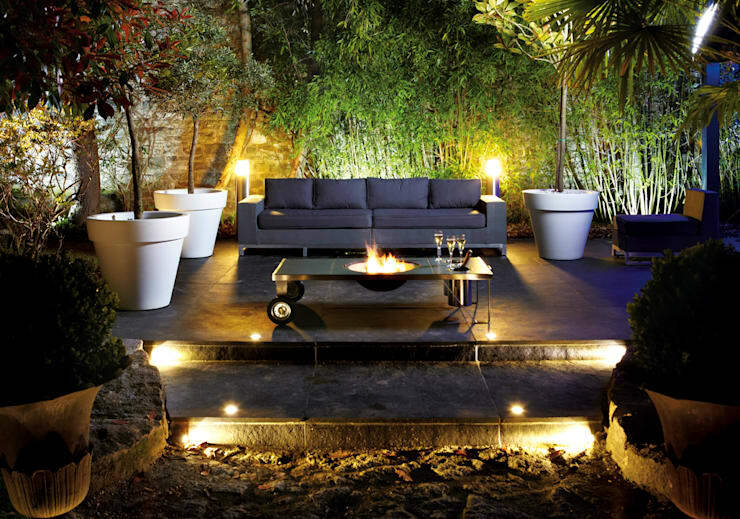 Need some more luxuries for your backyard? These ten cost-effective pools might just be for you. Which of these styles works best for your yard?